Jonah Bennett, a 19-month-old boy, is at the center of an FBI investigation after a stranger allegedly smacked him on a flight from Minneapolis to Atlanta. The toddler's mother, Jessica Bennett, told ABC News she was sitting in the aisle seat of row 28, alongside Joe Hundley, 60, a stranger. 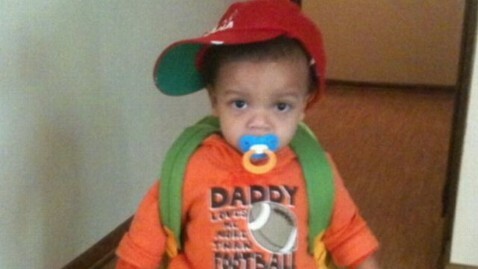 At that point, Hundley, according to court documents, told Bennett to "Shut that n-word baby up". Hundley, who is the president of an aircraft parts company in Idaho, then allegedly smacked Jonah. That's when fellow travelers stepped in. "Ms. Bennett received assistance from several people on the plane, including male passenger Todd Wooten," court documents said. Wooten, who was seated in row 16, said he heard derogatory language coming from the rear of the aircraft and witnessed Hundley slapping the child. Hundley was charged with assault in an Atlanta federal court. His attorney, Marcia Shein, said nobody should rush to judgement and that Hundley would be pleading not guilty.